FOUR WHEEL DRIVE LOCAL TRADE! ZERO ACCIDENT HISTORY REPORT! AFFORDABLE 4X4 EXTENDED CAB! This 2007 Ford F-150 is a four wheel drive local trade in for a 2013 F-150. 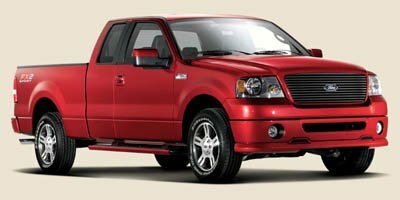 This XLT SuperCab has 162,000 miles, power equipment, aluminum wheels, a factory towing package, a zero accident history report, and a price under $8,000! This vehicle is located at our Community Cars Outlet in Spencer, IN. Please call 855-527-3325 for more information. Community Cars Outlet is located at 88 W. Morgan Street in Spencer, Indiana. We offer local trade ins from the Community Auto Group and are focused on serving budget focused customers in South Central Indiana. Our inventory can be viewed at CommuntityCars.com.